can just kiss off into the air. Sometimes we just need to pretend to be teddy bears and blow a bunch of kisses to prove our love. 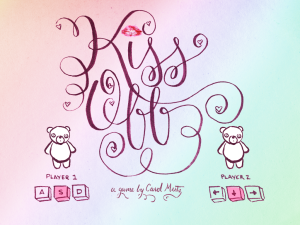 Kiss Off was made in a day.​ All art and lettering was hand-drawn (or smooched), music played on my ukulele, and the sound effects were recorded quite uncomfortably in my closet.